What a day it has been. Warm and muggy this morning, then about two o’clock, the dark blanket of storm clouds rolled in and raindrops the size of quarters pounded down. By the time my workday was done, the sun was out and the air had cooled. I rushed home on time and got out my Magic Machine with the rototiller head. I attacked the patch of rutted dirt where the boards of our old deck have been languishing for four or five years. When they say that cedar is rot-proof, they’re telling the truth. Pressure-treated wood. Ditto. It took a while to find someone to haul the piles of junk away, but our enterprising snowplow guy offered to do it for a couple hundred dollars. Done! I turned the soil in what used to be a flower bed. I’m going to plant yellow fingerling and red potatoes. They’ll grow just about anywhere without complain and they help break up the soil. Hopefully they’ll grow fast and crowd out the aggressive weeds that spring up everywhere. 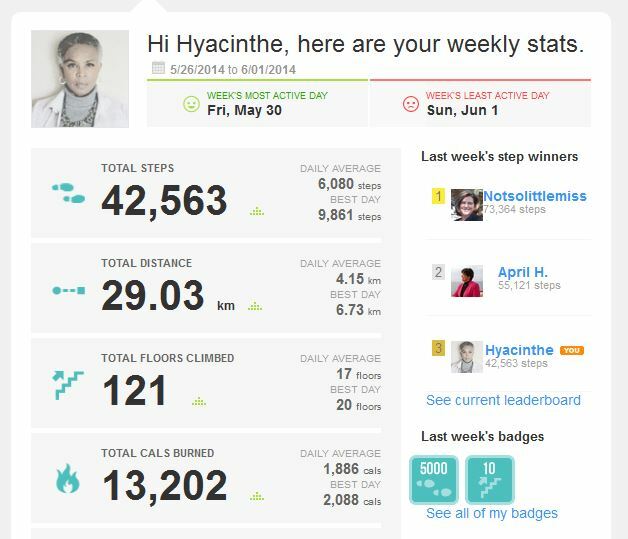 I’m still wearing my Fitbit and my stats are getting better, but I’m tired of being #3. I spend my workdays writing stuff and I don’t get as many opportunities to do walkabout as I used to. When I’m home, I’m doing chores that don’t take that many steps to complete. Maybe I should march in place as I do the ironing or fold laundry. Ugh. I love the stair count, though. Those are easier to do. I have to admit that my motivation is flagging. My writing is coming along well but I can’t use that as an excuse. I can multi-task. I just have to focus on my priorities. One of them will have to be spending more time on tutorials that teach me how to set up this blinking website the way I want it to look.